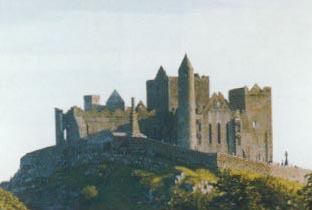 Cashel is famous for its tourist attractions located in and around the town. St Patrick converted the local King, Aenghus, here in the 5th Century. Brian Boru was crowned King of Ireland on this spot in the early 11th century. The vicar's choral has been restored and the site, one of the most visited in Ireland, now provides an interpretative centre, an interesting museum, guide service and superb views over the extensive and beautiful plains of Tipperary. Less than a minute's walk from Ashmore House. You will find the World's smallest book here as well as rare books and manuscripts. See the exact place where on August 17th, 1740, Richard Guinis discovered the now World famous "Guinness Stout". You can also see the original Hop Plants used in the making of the famous brew. 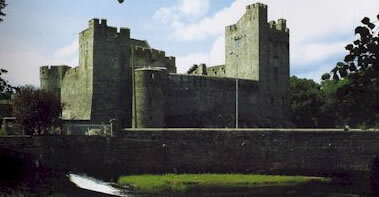 Built near the base of the Rock, it was founded in 1243 by Archbishop Mac Kelly, who became its first prior. The beautiful 13th Century East window is a special feature. Located in Dominic Street, the folk village contains man wonderful artifacts regarding the history of South Tipperary and particular of the Famine Years (Black 1847) and of the Civil War Period (1914-1922). Founded by the Cistercian Order in 1266. It can be found just 200 metres from the Rock. The above are some of the more well-known tourist attractions, but the town hosts many more attractions. 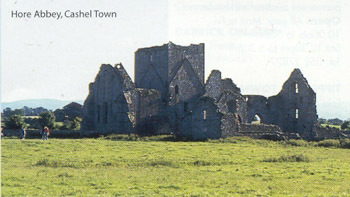 Close by in the local surrounding area is Holycross Abbey and Lar na Pairce in Thurles. 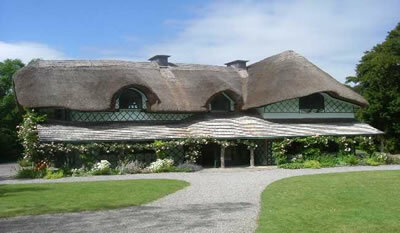 Also close by are Cahir Castle and Swiss Cottage which are only 15 minutes drive away.